You're doing something right by reading this blog! I know you've got it in you to really put everything out there and give it your all. 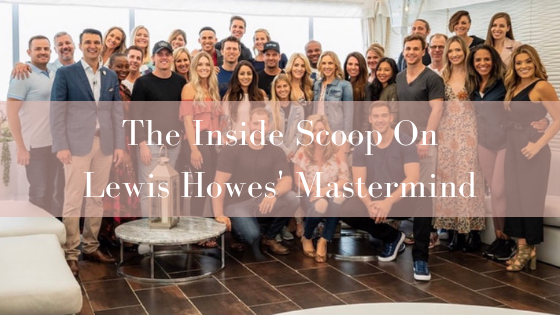 Today, I’m sharing a question all of my girlfriends asked me and I shouldn't say just girlfriends, but friends in general will say to me, I know you're in Lewis Howes’ mastermind and I know you've been in James' mastermind, what's the difference? Who do you like better, James Wedmore or Lewis Howes?This is my little tell all of what I think of Lewis Howes and his mastermind program. What I want to tell you first of all is one of the biggest takeaways I got this year from Lewis. I realized I was playing really small and I didn't know I was playing small. That's the weird part is I actually thought I was playing big and I was this big dreamer. I'm a big believer, I felt like I was doing good things and big things and he kind of put me in place and I don't know that anybody's ever done that before for me. Usually my coaches are telling me how amazing I am and what I'm doing and that I’m doing really well. Lewis was just like, listen, I think you're doing good, but I think you could do a lot better and I think you could dream a lot bigger. Honestly, that was worth my entire investment being in his program because it really opened my eyes up and no, I didn't hit all of my goals this year and didn't pick these gigantic dreams and then say, yep, I did it. In fact it was probably the worst year I've ever had with setting goals because I was setting such big goals and I wasn't hitting them but I was surpassing what I normally would have set as my goal. That was pretty cool! One of the things that was really amazing for me was that I got a private phone call with Lewis when we kicked off the mastermind about a year ago and it was the week before Christmas last year in 2017 when I got to speak with him for about an hour. I remember telling him my numbers and acting like, yeah, well that's it, those are my numbers for 2017. He said we've got two weeks left in the year and I said yeah…but we've got Christmas and we've got New Year's, who's trying to do something between these two weeks?! Aren't we all taking vacations? Aren't we all taking breaks the rest of the year? What are you talking about? He pushed me to do a webinar and I did one on December 28th, 2017, which I thought, who in the world is going to show up?! People have kids at home, people are busy, they're on vacation, no one's going to jump on a webinar. What's funny is people did jump on that webinar and I ended up selling $25,000 on December 28th of 2017 and that was my biggest a-ha moment. That was my biggest, wow. Maybe I am playing small. Maybe I'm telling myself these stories in my head, but what if the stories aren't true? What if I think I know these things and I think they're facts, but they're my opinion? I just don't know what I just don't know right now. That's scary when all of a sudden you realize everything you thought or believed is a lie, it's not true, right? So that was a huge, huge eye opener for me. Now, you can see how I’m definitely getting my return on my investment with these little things that are happening now. At the first retreat that we did in his program was in January and everybody asks me, so his looked amazing, but how was he different than James Wedmore? Now, I'm in both of these masterminds and I will tell you it was different than the other mastermind for sure! I'm not going to lie and even if he would listen to this, I'd be totally fine with that, but at first I was a little disappointed in a way and I'll explain that in a minute. I even started to judge in a way and go, this isn't what I was expecting. What I had to sit and realize and just take a minute to process was everybody has to play up to their strengths and Lewis did just that. No, it was not like James’ Retreats at all, it was just different. It wasn't better. It wasn't worse. Lewis played up to his strengths and one of his strengths is that he’s a connector and he brought in people like Gabby Bernstein and Jeff Walker, who I was able to sit next to randomly at dinner and talk to him all night long and had an amazing conversation with somebody who I’d been admiring for a long, long time! We got to meet the CEO of Hay House who gave us his personal email address for us to email him when we want to publish our next book, we got to hear Rachel Platten who was a guest at dinner one night and she gave a little private concert. It was really cool and it was just a different experience that I hadn’t really experienced before. The first retreat was even more evident to me that I was playing small and it was really nice to be surrounded by these big dreamers and Lewis’ goal that he publicly states is to impact 100 million people. The people in the room, they have these gigantic goals and hearing them say those crazy goals where I'm thinking in my head, can they really do that? It makes me start to go, maybe I can do that. Maybe I could impact 100 million people. Maybe I could, fill in the blank. That is the kind of room I need to be in at all times. Both Lewis and James do these hot seats where people give you feedback and Lewis did a hot seat where people give their opinion of you. So some people, some of who I just met have literally never checked me out. They didn't know my name, nothing. They looked me up and down and gave their honest opinion of me. Of course we all go around and people are saying really nice things and oh, you look put together and you look blah, blah blah, right? So all of a sudden Lewis is walking around and he jumps out and he's like, oh, are we on Stacy? I'm going to give you my honest opinion of you…so I'm thinking, oh, it's going to be like everybody else and he said to me, I think you could be an ‘A’ business, but I think you're performing at a “‘B’ level. I almost didn't even know how to respond to that because it wasn't a compliment. He was saying I wasn't playing at the level he thinks I can play at so I was just taken aback. Yes, I agreed with him, there were definitely some things I was noticing, which is just hard to hear. But you pay people like this to be honest. I don't need to be told that I'm polished and put together and I look blah, blah, blah. I want you to say, here, do this, try this because I want to be better and I really use this information to see or to be a better coach myself. When somebody would say, what do you think of my sales page? What do you think of this? What do you think of that? I don't just give them, oh, it's pretty, it's this. I'm going to be nit-picky here and I'm going to tell you a couple of things I would do. I'm going to treat you like I want to be treated and I really got that from him. So this is a long story, but I really want to share with you how this happened. We take a break, I go to my room, I'm still processing like, wow, this is crazy, then we meet up for dinner. So I head downstairs, of course, I'm one of the first people there because I'm so type A and I'm always on time, which means I'm always early, and I come down and what's funny is I wouldn't picture Lewis to be the always on time guy, but he actually is! He's always usually the first person in there so I walk in, there's a couple of people so I sit down and this is the time when you can either take advantage of the situation, being in a room with somebody like him and you can either make small talk, or you can say, hey, and this is what I did…I said, remember when you just told me that you think I'm a ‘B’ business, but you think it could be an ‘A’? I said to him first of all I think you're being nice, I don't think you would actually rate me as a ‘B’ business because I see him and I see who he's coaching and these people around him and the people he's friends with and I said, so I know you were being nice and he said, I was. I was being nice…. He told me you're not at a ‘B’ level yet, which, ouch….okay, thank you again. But I can take it, I'm a big girl. So I said what can I do to be that ‘A’ business? So he said, I want you to do something out of your comfort zone. He said I was too put together and everything that everybody was saying about me that was so nice and amazing, he's like, you're too all of that. So he's listing these things like, why don't you go skydiving? I said yeah, I could totally skydive, I've already done that! And he's like, oh no, no, no, no. If you've already done it then, then it doesn't count because it's not out of your comfort zone. He told me I want you to do something that you would never do or that people just would be shocked that you did. So he's listing these things and I'm all going, yeah, that sounds fun and he's like, no, you're not understanding the concept. He's like, I want you to do something that you don't think you would do. So he just keeps listing these things and there's really nothing that was scaring me or nothing that I didn't think I couldn't do. Randomly he says, what about a burlesque dance? He knows I was a dancer and I immediately was like, I think I even got very loud, I was like NO way! I would never do that and he's like, well that's it! He told me that's the one thing you don't want to do so you should do it and I really want you to. He gave me so many suggestions, he just kept rambling and the only reason why he pushed this was because he knew my reaction was what he was trying to find and he wanted me to be uncomfortable and clearly this made me uncomfortable. Now stick with me with this story…it makes sense in a minute and I want you to see what happened because it really does make sense, I promise!! Anyway, don't hate him. He's not sexist. This is not some weird thing he's trying to do. He's not like that at all. That was something really nice that I have loved working with James and Lewis. They've never put me in a weird situation. They'd never been inappropriate. They don't talk like that. They are both very, very respectful and I've loved that I can have this relationship with these guys where my husband doesn't have to worry. He doesn't have to feel uncomfortable. But anyway, Lewis keeps pushing this burlesque dance. I want to tell you something about me that you probably already know but when somebody as a coach, somebody smarter than me, somebody more successful than me, tells me to do something, I do it. I don't question them. I don't need to know why I'm reading the Bulletproof book right now and this guy is getting so into all of these things. I'm like, Dave, just tell me what I need to eat and when I need to eat it. I don't care why, I don't need to hear all the reasons I trust you. Just tell me what to do and I'm going to do it. This is one of the reasons I think that I have had the level of success that I've had because I always follow people that are smarter than me and I do what they say. This was one time that I was like, I don't want to do this. I don't think it's a good idea. My gut was going, get outta here, there's no way. I then go to dinner and we're sitting at round tables and I sit down and all of a sudden somehow my table is a guy table. I'm the only woman at the entire table, which is not normal. It's usually a good mixture but I just sat down first and all of a sudden it was guy after guy. We're going around the room and the table eating dinner casually and Lewis is not at our table, but these guys start talking and they ask, so are you going to do it? What do you think? And of course guys, it's guys! So of course they all think it's a great idea, right? They're trying to get me to do it. They're telling me why. I'm like, no, there's no way. When I say off brand, I don't mean like, oh my persona. I mean it doesn't feel like a good fit for me personally to be doing that. I have children, I have my brick and mortar dance studios where I have a lot of children that follow me and watch me and I just want to be a good role model and to me, I just didn't feel like it was a good fit. I'm completely anti this idea. So all of a sudden they're talking then Lewis sits down and starts talking about it. I remember this clearly. I was just like all right guys, I'm going to go to the bathroom. So I stand up and as I stand up, I kid you not Lewis comes around and he puts his hand on my shoulder and he's like, hey, I just want to see what you're doing. So he sits me back down and of course it goes back to this burlesque video. He assures me that you can do this in a classy way, that wouldn’t make me look bad. He said to me, if you make this video, I will share it on my social media. Lewis has 1 million+ followers on every platform. I said wow, that actually could be a good thing, but how would I do this? Classy? It just got very intense. So anyway, he's kind of convincing me maybe I could do this and make it work. He makes me shake his hand that I'm either going to do the burlesque video by a certain date or I'm going to donate. Who happened to be sitting next to me? This guy named Jeff. I love Jeff! He has these bars called the Kize bars. He's an amazing guy. He has this amazing charity and they go to Haiti every year and do all these amazing things and build orphanages and he's like, you're either giving Jeff $10,000 to go build orphanages or you're doing this burlesque video. I actually shook his hand. I'm sweating even thinking about it. I leave the table, I run into my friends Robin Long, Jasmine Star and I tell them what's going on and they're like, you can't, you can't do this! They're like, no, you cannot do this video. This is why I needed girls at the table!! Immediately I say I'm not doing this. Some days I would go home and research like classy burlesque on YouTube and you guys trust me, it's either super cheesy or a little too risque for me to ever feel comfortable putting something like that out there. At that moment I was debating, I was trying to figure out how do I do this? Because when I trust somebody, I trust somebody and I don't think he would tell me something to hurt me. But at the same time I also want to feel good about something and not feel like this is going against everything I'm thinking about. I'm not a prude. It's just not me. I don't feel comfortable that way. So if that's you, I'm not judging you and I hope you're not judging me! I jumped on my mastermind call and I knew this is the first time I was going to see Lewis. The deadline was approaching very soon. I knew he was going to ask me. I'm the first person he calls on and he's like, what's up with the burlesque video? I immediately say, I'm so sorry, it just doesn't feel in alignment. I'm not going to do it. This is just as scary as not doing it because I've never said no to a coach before, ever. It was funny because he was trying to challenge me by doing this, but he did challenge me, you know, he really did make me make this decision and come to this where that was a challenge for me this year. I had to put on my big girl pants and decide this is what I feel is right for me. Saying no was really tough, but I jump on this call, I say this and what's so funny and rewarding in a sense was a week later I got an email from someone that worked at Kendra Scott and they wanted to partner with me on a few things and the woman said, you are definitely in alignment with our brand. Hearing her use those words when I just said the words a week later how this didn't feel in alignment, I wanted to say to them, so how would you feel if I publicly posted a burlesque dance on the internet?! Just knowing this wouldn't have felt like me, I almost would have felt inauthentic when I was trying to be as authentic as possible. Funny enough, it works out where we're doing some really cool stuff with Kendra Scott that I'm super excited about! I've been loving their stuff way before this even happened and this whole story is just so significant for me. I believe you should get mentorship. I believe you should have a coach. I believe you should be in a mastermind, but you have to be that last filter. You are taking an everything that people are saying, don't judge, don't say, no, I can't. No. Um, what are the people say? Yeah, but yeah, but this won't work for me. Yeah, but don't do that. Just take it in and then you decide, right? You're the filter. What are we catching? What are we doing and what's getting thrown away? For me, I felt like I grew up a little bit this year and again, I put on those big girl pants and said I'm not doing it and I feel really good about it and I just feel like I needed to go through a challenge like that. I really appreciate Lewis for trying to push me out of my comfort zone and I know I still need to find what scares me and I’m on a mission to keep discovering that and pushing myself to another level. Now, what's really cool is at my annual live event this year and this is so funny, I didn't do this on purpose, but I picked Jeff's charity, the one we just talked about, the Kize bars which are protein bars. But we picked his company and just because he's doing amazing things and I love him! What I really love about him is he was at my table when everybody was telling me to do burlesque and he was pretty quiet. When I walked away and he walked with me, he whispers to me and says, I don't think you need to do it. He's just such a good guy and such a great role model that it doesn't surprise me. So anyway, I ended up picking his charity, we're going to do a pop up shop at my live event from Kendra Scott who’s donating 20% of the proceeds to any charity of my choice and I picked Jeff's and all of a sudden I was thinking, how funny, because here's my way to give Jeff that $10,000 I said it was going to get, because I never did anything. I feel so good that this is my opportunity to be like I didn't do it, but here's the money that I thought I would donate. So I'm super pumped that I'm able to do that. Now, I just told you one webinar before the year even kicked off, I made $25,000…that's a pretty big chunk of the return on my investment right there. Another thing that Lewis does is shout outs when we do things. When you have a big audience like Lewis has, shouting us out is a huge advantage and I've gotten sales just from him shouting me out and people being like, who's this girl? They check out the podcast, jump on a webinar and buy my programs. So the return is even from just him helping me get more visible. I'm actually an affiliate this year for one of my Powerhouse members because of how much visibility we get from them and what we give them. It's just such a great way to collaborate too. So that was something that I was not expecting, but money did come in just from him shouting me out, which was pretty cool. Moving on to his live event, I want to talk about this first. Not everybody goes to everything and if I sign up for something, I’m going to use that. I'm going to use all of it to my advantage. I’m not skipping things. I’m rearranging my schedule to make it work. I'm not going, oh, those are your dates. I can't do it. I'm going, let me figure out how to make that work. I think that's a different strength and a different weakness. Some people have it and some people say, oh, I can't afford this. I’m saying, I don't know if I can afford that, but how could I make this work? Where could I make that kind of money in a week or in a certain amount of time? I'm looking at what are the chances I can do this? And if there was a chance, what would that look like? Whereas some people go, I couldn't afford that, I can't afford that right now or I can't make those dates work. Well, what if you could make those dates work? What if you did something or rearranged something? I've even had to go as far as canceling other events to make sure it could fit in my schedule. So I want you to be thinking about that for yourself! You might be self sabotaging by saying, I can't afford this. I can't make this date. You can get value out of things even if you can't be there physically or be there live. I'm going to do everything I can to do that, but if I can't, I'm going to plan B. My point with this is that a lot of people skipped his live event probably because it wasn't a real retreat, right? It was just, we're going to go to his live event and then we're going to hang out for a day but it was honestly one of my favorite retreats. Even my mastermind members that are in my program, can do the same thing. They can come to my annual event for free, but not everybody will. They'll think, well, it's not a retreat so I don't have to, but when you're there and you're observing and you're watching, first, what happens is when you're watching and doing everything, you're going to get ideas. If you decide I should be doing this for my customer service or I should be doing this for social media, or how can I learn something from what is happening? I was super impressed by his event! He has a really good team. I don't believe that Lewis is doing everything, but I will tell you he's a lot more hands on than you would think. And he's a lot more particular than you would think! Behind the scenes it was kind of cool to see that and it was really good to know that somebody can put on this amazing event and it looks flawless but behind the scenes, even though he has a pretty successful business, things go wrong. And that's okay! If things aren't going wrong, you're almost wondering, did we forget something?! Did we not do this right? Why does this feel so good? So I loved going to see it. I loved being able to meet some of you guys in person. I was so excited!! Being there and then having some of you guys come up to me, I love, love, love doing that! Then, our last retreat that we just attended, was a big eyeopener too. There were no fancy speakers, it was just Lewis talking and sharing. What's funny is this was just a bonus day. This was not a real retreat. It was just a bonus in case you had to miss it. But this or that was like gold to me. We were so blown away and so shocked by what he was sharing with us because we don't get to hear a lot of him. We hear a lot of his amazing friends and his amazing speakers he brings in because he's so well connected but we want to hear from him too. So he starts sharing, we're all blown away and you can almost tell he was surprised that we were liking it and he said, if you guys want to hear more of this from me, I'll do it, I kind of just thought you wanted me to bring in my friends and do this and that. I think that just shows you, you can't assume what people want from you. You have to really be listening to them and and look at their reactions, right? Ask them these things. So I really, really want you to understand that you might think right now, you know your audience really well, but you might be missing something if you aren't talking to them, asking them questions or surveying them. You need to be doing that and I think you have to show other sides of you to experiment. Just because they like something right now doesn't mean they're going to like it 6 months from now. It doesn't mean they're going to want that same thing in 12 months from now. So keep experimenting. Listen to the feedback. Another thing that I got from him was that he showed me the importance of connecting and how to build rapport. He is super engaging you guys. He walks into a room, he hugs every single person, always has his arm around somebody or patting them on the back and I guarantee he physically touches every single person, every day. That sounds crazy. But again, I'm an observer. I'm watching him talk to other people, him talking to me and he’s so engaging and he’s either really good at pretending he cares or he actually cares. And I really think he genuinely wants to help people! I think he gets a really bad rap and I think people think he's the cool kid or the jock and that's the impression I hear from people. I will tell you, I think that's so wrong!! I think he is actually, he says he's not smart and he grew up really having all these difficulties, which I believe is true, but I think he's a lot smarter than people actually understand. I think he's very strategic and I love strategy, so that's the kind of stuff that I loved learning from him. What I like about him too is I believe he can do anything he wants. And I say him, not me. I know he has these crazy goals and I believe he's going to do it but I'm not totally there yet. I have big dreams, but I don’t want to be on Ellen Degeneres. I mean he's been on Ellen 3 times and that's just a thing he's done. He has done so much and I don't think I'm fully there yet, but I think I'm on my way to believing I can do anything I want to do. I say that and maybe you say that, but do you really believe you can do anything? There are some things you are going to see him do in the next 12 months and you're going to go, how did he get that?! One of the reasons I love following people like him, is because the more outrageous their goals are and the more outrageous things that they actually accomplish, the more I think, huh, maybe I could try to do a smaller version of that. When you do a smaller version of that and you do it, then you do the next bigger thing and the next bigger thing and all of a sudden you're going, whoa, how did I start doing all this crazy stuff?! But when you up your friends, you up your peers, right? His mindset is something I really envy and admire and it's helped me grow my mindset, but it's also shown me I have some mindset work to do. I have to get to the point where I truly believe I'm going to do anything I want to do too. I'm a work in progress. I'm sure we all are. So I waited to write this until I did my private phone call with him. I didn't know I was getting this but at the end of the year he sent us an email and said, hey, I'm giving everybody a private call. I wasn't sure if I was coming back next year so I didn’t really want to do that private call because I think he's probably just going to try to sell me on the next year and I don't know if I want to tell him to his face, I'm not going back. I almost didn't take advantage of it but I'm going to take a free call if I get it because it's not about next year, it's about this year and I paid for this year. It's supposed to be a 30 minute call but I had to cut him off at 60 minutes. What was I thinking? But I had to go on a sales call that I was doing and like I said, he was just there to help and he was just there to help me figure out where to go next year and what to do and I needed that little boost of dream bigger, dream bigger! I came on the call with my goals and I had this number that I was really impressed with, a number that was bigger than I really thought I was going to try to do next year and I was like oh, he's going to like this! He said to me…what if we doubled that number? Of course he would say that!! But you guys, you need that person to push you to make you think, oh, can I hit this? Maybe I could. People come to me, they're like, I want to make $20,000 this year and there is no reason you can't be dreaming big. You deserve to be getting paid what you're worth. You're putting in hard work for your business. I hope that you are experiencing what you should be. So I really want you to be using these lessons learned from me. I’m not here to sell you on Lewis or bash Lewis but I was just here to tell you, here's what I got out of my mastermind and how did I look at my return? Another thing you don't realize is the connections you just paid for. You bought your friends, right? You completely bought your friends but I'm okay with that. I bought some pretty amazing friends! I love that sometimes you have to pay to get in these rooms because it makes it more selective. When I pay to be in these high level rooms with people, we're all on the same page and we all understand the value of putting in work, putting in the money and putting in the time. That makes it even more special. What's cool about these friendships are that these are real friends where we're texting and messaging and speaking at each other's events and going on trips together. Just because some people may or may not come back, it doesn't mean their friendships stop and you have no idea what the return on any one of those friendships could be over the next 10, 20 or 30 years. People have no idea how much more powerful one mastermind can be over just a private coach because it doesn't come with just one person. It can come with a whole lot more. Now, we're already on to 2019 and we have so much time to make this business be what you want it to be! 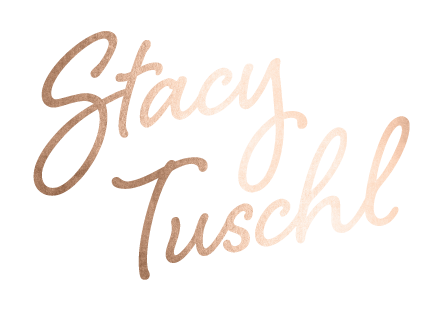 So I really, really, really hope that wherever you're at, you know that you have big, big dreams that are possible for you and if you’re still looking for a mastermind, if you’re going, I want to do something like this, go check out my mastermind, Powerhouse! Apply, see if you're a good fit and we'll find out! You have to find a group of people that are going to push you, inspire you, stretch you, because I don't want you to waste your potential. I don't want you to waste an entirely perfect year. From the bottom of my heart, I hope you get everything you want in 2019 because that's the cool part about what we're doing!! I can be successful and you can be just as successful, you can be more successful! !